I want to take a second and talk about our MOST FAVORITE subject:…Oil. I don’t use it or eat it, and I don’t recommend you do either. Sure ….Vegans can (and do) eat oil. But remember a Vegan’s intent is generally not focused on health or diet, as it is preventing animal cruelty. I’m not saying that’s a bad thing, it’s just a different priority, that’s all. And even though I consider myself Vegan as well, MY priority happens to focus on promoting a healthy diet first, and oil is DEFINITELY NOT healthy. 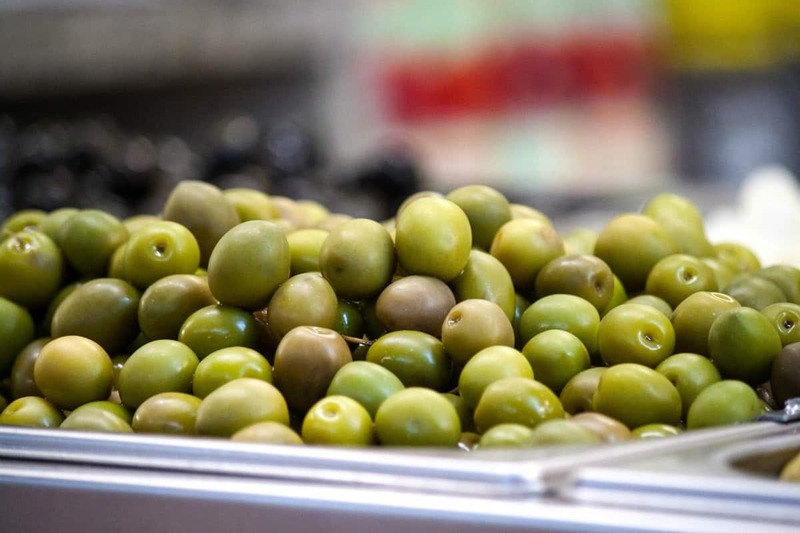 Let’s take olives for example – The olive itself, while being a higher-fat food, is STILL a whole food, and can be a part of a healthy, plant-based diet when eaten in moderation. They contain vitamins, antioxidants, minerals, and most importantly: fiber. But here’s the problem: commercial processing factories use a variety of methods to get that oil OUT of the plant, and processing strips AWAY all of those vitamins, fiber, etc…. Just so they can sell you a handy, convenient bottle of nothing more than pure fat. 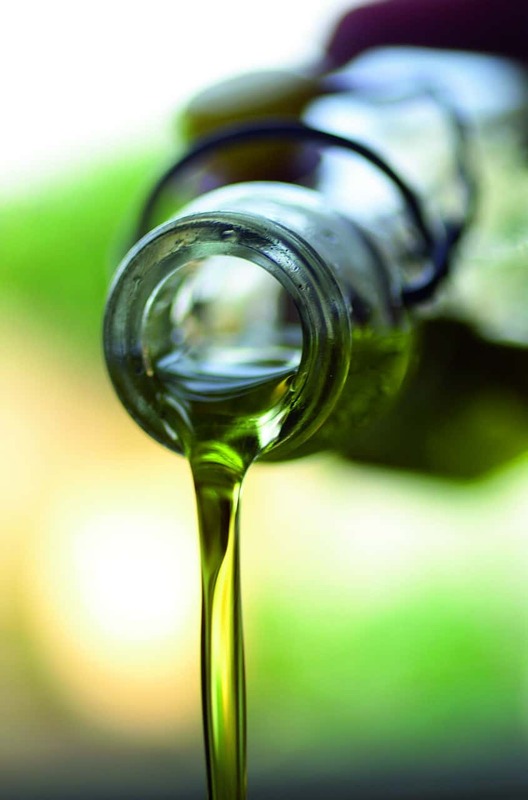 Olive oil is THE most calorie dense food on our planet. Just 1 tablespoon contains 120 calories (and I don’t know anyone who pours JUST one tablespoon of Olive Oil over their salad). So you can see just how easy it is to consume a LOT of calories very quickly, especially when it seems like everything in the American Diet is either deep-fried, sauteed, or smothered in some kind of oil. “But how can that be? Olive Oil is Heart Healthy!” say all the media channels. But is it really? It IS healthi(er) than Saturated Fat. Sure. Just like smoking 1 pack of cigarettes a day is healthi(er) than smoking 2 packs. But it’s still damaging! Atherosclerosis is the narrowing of blood vessels due to the buildup of waxy ‘plaques’—clumps of fat and debris. The only way the lesions stopped growing was by decreasing ALL fat intake completely. Your body will ALWAYS do things as efficiently as possible while preserving as much energy as possible. One myth I hear over and over is that we cannot eat too many CARBS, as they will turn into fat. Not true. It is NOT very efficient and uses WAY too much energy in the process. Remember, your body wants to USE those carbs are its primary fuel source, or store them as glycogen – not turn them into fat. And since your body will ALWAYS try to burn those carbs FIRST ….guess what happens to all that fat that usually tags along? That’s right – the FAT gets immediately stored. And trust me, your body can store fat VERY efficiently AND effortlessly. So remember – anytime you eat carbs AND fat together: those carbs will get burned and that fat will get stored. Take away the fat? As in a Low Fat Whole Food Plant-Based Diet? You lose weight. Take away the carbs? As in a Keto Diet? You lose weight. But put them together? Bad news. I mean seriously take a good look at our American Diet? Isn’t it usually a combination of both Carbs AND Fat? And don’t forget PIZZA (carb crust covered in LOTS of melted fat). Is it any wonder that the United States is one of THE most obese nations in the world? According to the CDC, the average adult is now 26 pounds heavier than in the 1950’s. So where does all that fat go? It goes around your middle, or your rear, or your thighs – but make no mistake…..it IS going to get stored …. somewhere. And I personally would rather BURN that fat, than store it. So bottom line? You don’t NEED oil at all. It’s fattening (the fat you eat is the fat you wear). You can get all the ESSENTIAL fats you need from whole, plant-based foods. And you can still cook just fine without it! Don’t believe me? Watch any of my YouTube Videos and you can see just how easy it is to cook without oil. Wanna get healthy? Leave out the oil.